The end of summer is a peculiar thing. Those favoring eternal sunshine and an endless supply of sunscreen may be languishing a bit while the pumpkin patch frequenting folks relish in the changing of seasons, welcome the thought of wearing flannel and seeing your breath in the morning. Whichever way you lean however, the north coast, in all of it’s warm weather glory, is also quite inviting when the leaves begin to turn. Whether you’re into island exploring, leaf peeping, wine tasting, thrill seeking or just walks amongst nature, the options are endless. 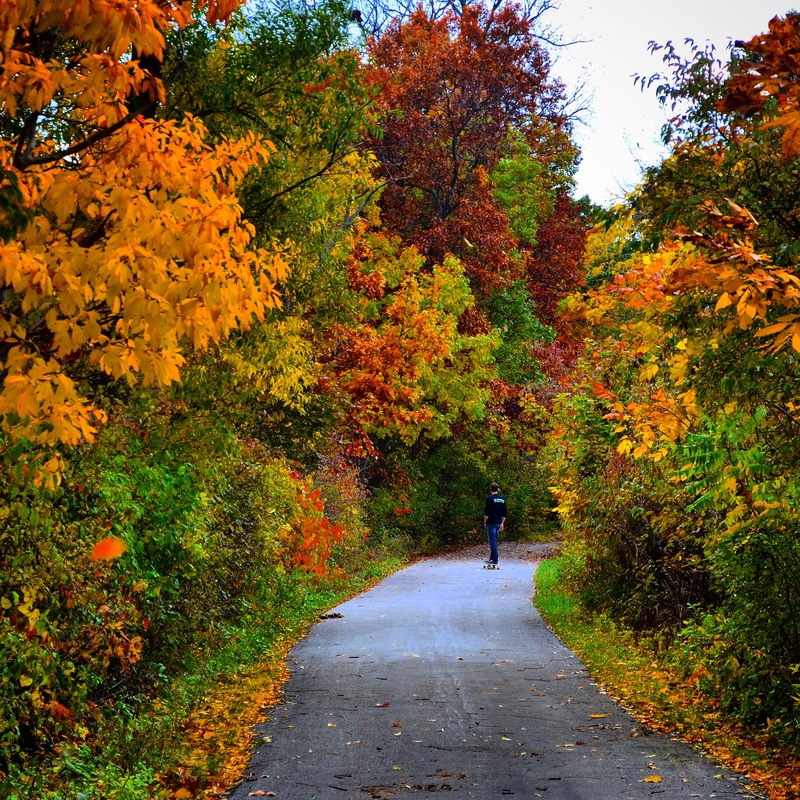 Blazing oranges, searing reds, and colorful yellows provide the perfect contrast for the freshwater canvas that blankets this part of Northern Ohio. Couple this with the jagged, limestone rock faces that encompass South Bass Island and you have something that will drop the jaw of even the most seasoned leaf peeper. 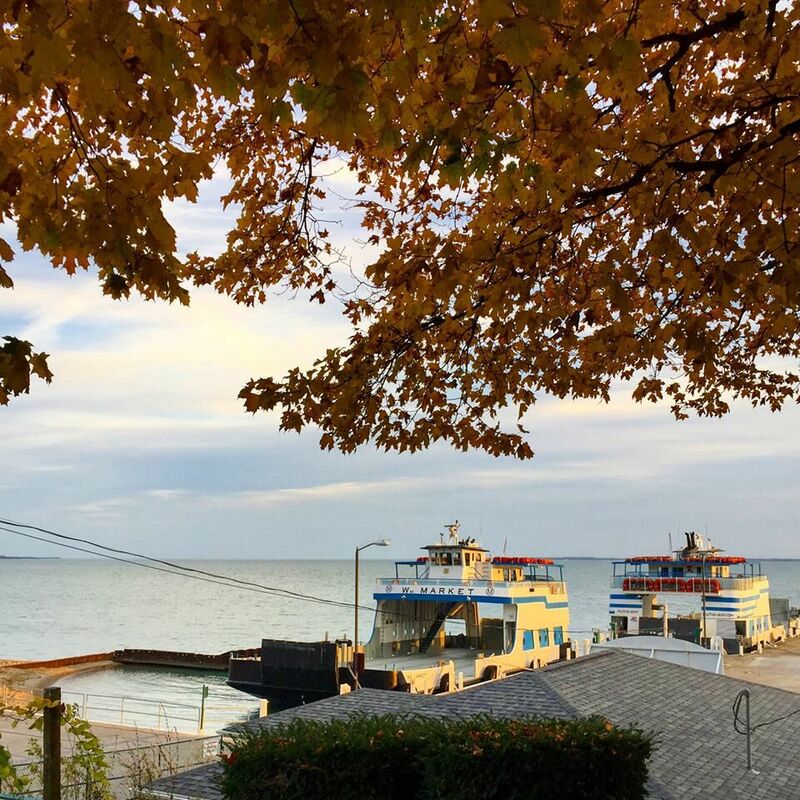 Coincidentally, the fall season that makes Put-in-Bay such a colorful place is also precisely the reason why grapes grow so uninhibited and sweet in this region. This year’s Island Wine Festival on October 7, from 11:00 am to 5:00 pm at the Put-in-Bay Winery, will feature wine representatives from across the U.S. and boast more than 400 types of wine to sample. Of course local wines from Heineman’s Winery and the Put-in-Bay Winery will be on hand as well. You might want to come back for the region renowned Oktoberfest as well, which runs from October 14 -15. Travel Tips: The Miller Ferry is only $14/RT with children six and under riding for free. Bring your own bicycle for enhanced island exploration. Looking for a mainland option? Try Quarry Hill Winery – Part of the Lake Erie Shores & Islands Wine Trail, this vineyard sits perched 834 feet above sea level, 100 feet higher than the surrounding orchard landscape offering up lush scenery that’s just as pleasing to the eye as the wine is to your palate. The wraparound veranda is perfect for relaxing anytime of the day. Look closely and you’ll see the blue water of Lake Erie in the distance. On your way to Put-in-Bay, you should probably stop off to see one of Lake Erie’s most iconic landmarks. 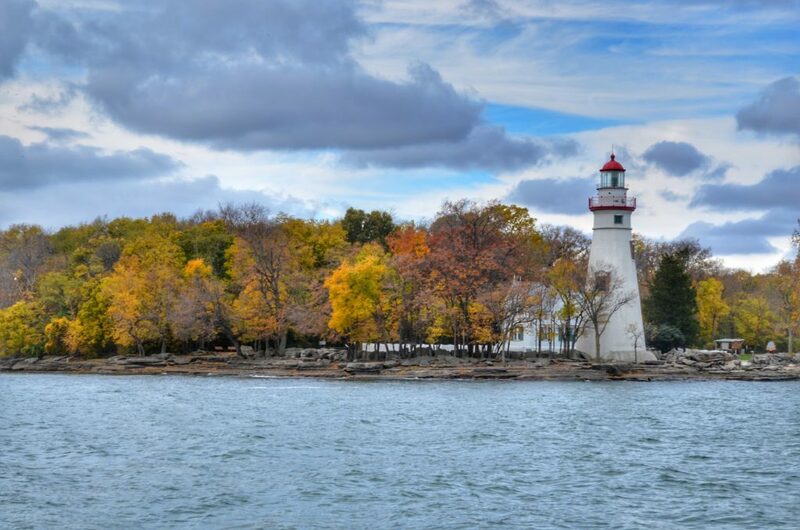 Marblehead Lighthouse is not only the region’s most photographed spots, but is the oldest lighthouse in continuous operation on the United States side of the Great Lakes. From the rocky headlands of Marblehead Peninsula you can look out and see Kelleys Island, Put-in-Bay and the rollercoaster-laden skyline of Cedar Point. And while the Lighthouse gets a lot of the attention, the town of Marblehead itself is gorgeous, especially in the fall when the foliage around the lighthouse gives way to an array of color — Your friends will most certainly be jealous of your Instagram feed. Just past the edge of Sandusky in the town of Huron, Ohio, the contiguous wetlands of Sheldon’s Marsh State Nature Preserve are most frequented during the spring, due large in part to a bird migration that attracts nearly 300 species. However, that’s not why we’re here. We’re here because of this…look below. A one-mile paved trail will take you to Lake Erie’s edge and hopefully, if you time it right, give you this type of photo opp. Cedar Point’s Halloweekends are almost more popular than summer nowadays, so those who want to get roller-coaster scared may want to check that out as well. While the coasters still spin all day, themed midways, haunted houses and “screamsters” makes for a legendary Halloween experience. Ghostly Manor is without a doubt one of the scariest, most unique, elaborate haunted houses in the nation. Lengthier and more in depth than your average haunted house, this one will get a rise out of even the most soft spoken person in the group. Their nationally recognized Lake Erie FearFest goes on throughout the month of October and makes an already frightening experience even more stirring. Brought in from around the world, five different haunted houses band together under one roof to provide six acres of non-stop frights. If you haven’t already heard the news, we’re a few weeks away from opening a brand new street taco joint called OH Taco. 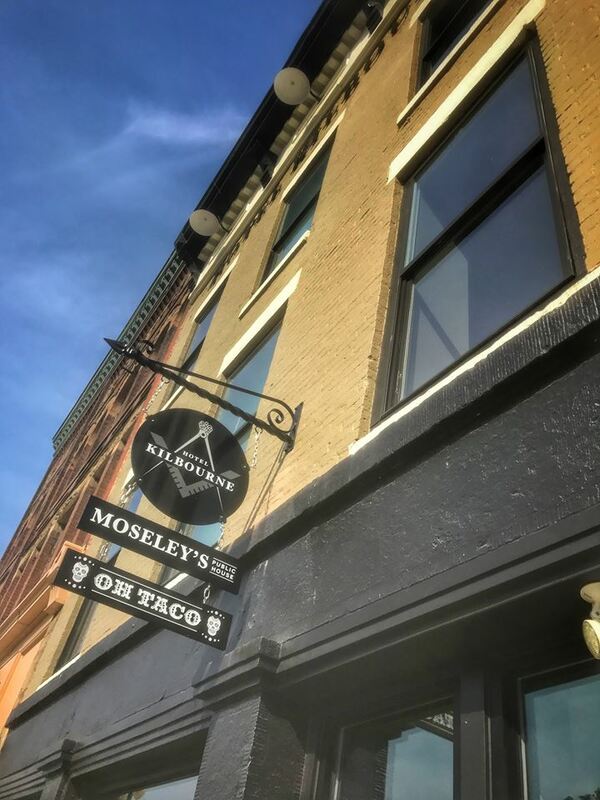 Connected to Moseley’s Public House inside the Hotel Kilbourne, OH Taco will be sure to spice up downtown Sandusky’s already stellar foodie scene. Stayed up-to-date on all the delicious details by following OH Taco on Twitter and Instagram!